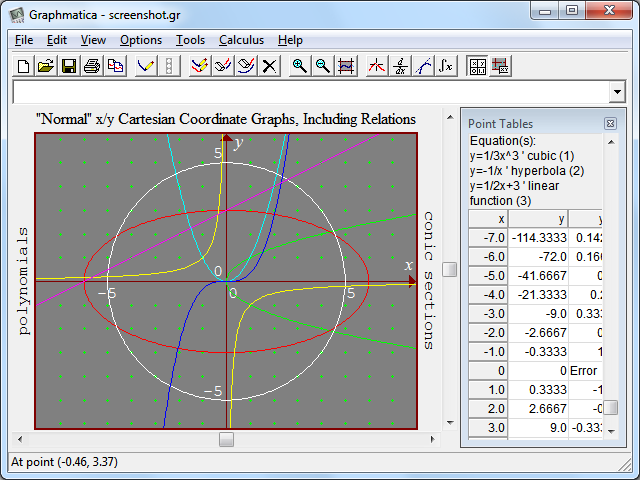 Graphmatica is a powerful, easy-to-use, equation plotter with numerical and calculus features. 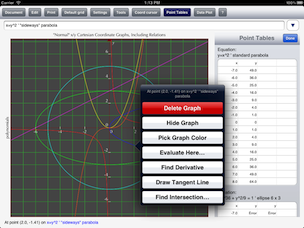 Graph Cartesian functions, relations, and inequalities, plus polar, parametric, and ordinary differential equations. 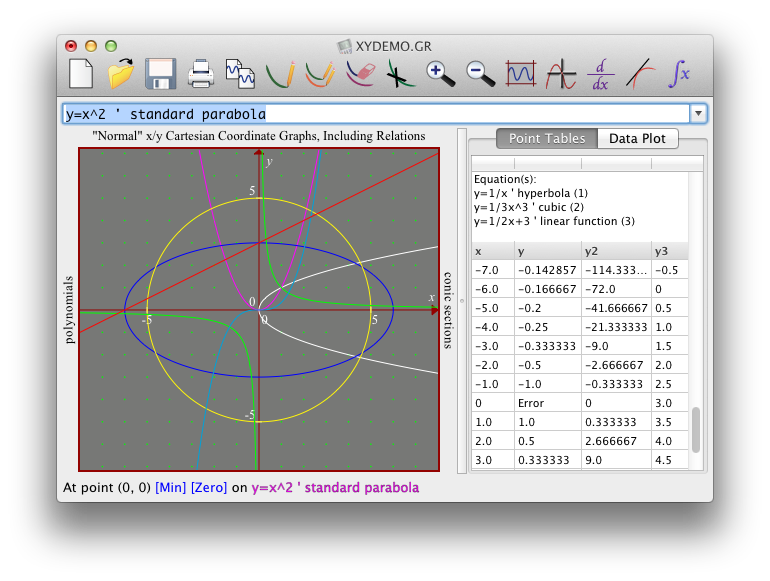 Up to 999 graphs on screen at once. 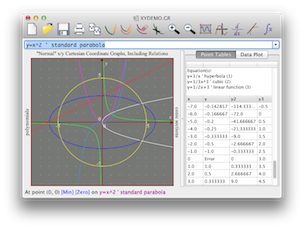 Offers copy to clipboard (bitmap and vector formats), graphical and numerical display of tangent lines and integrals, on-line help, and demo files. 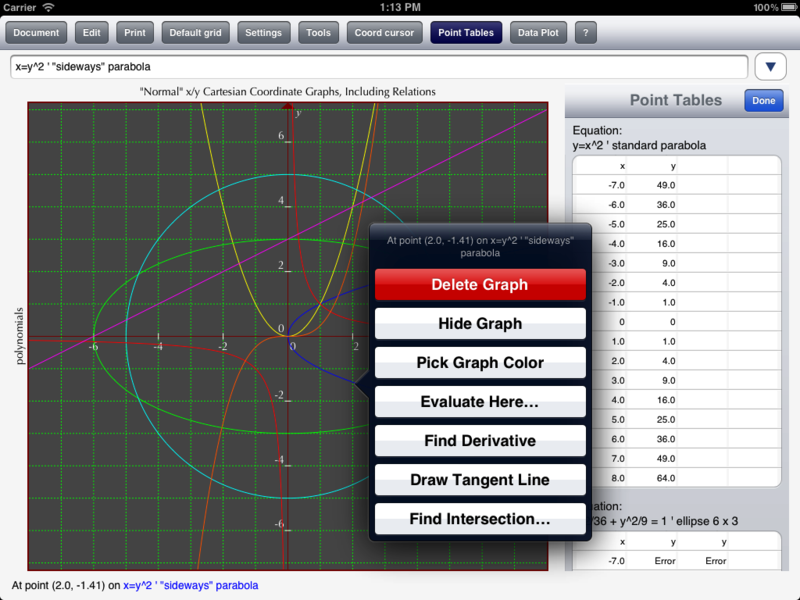 In summary, a great tool for students and teachers of anything from high-school algebra through college calculus. This version works on all modern 32-bit and 64-bit Windows systems: Windows XP, Vista, and Windows 7/8.x/10. 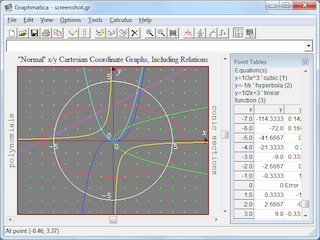 It shares the same rock-solid core technology with the older versions, but also supports the modern conveniences you've come to expect from modern Windows applications like support for long filenames, a standard graphical toolbar, and HTML help, plus new features like data plotting/curve fitting and support for implicit functions. System Requirements: Intel-based Mac runing OS X 10.6 (Snow Leopard) or later. System Requirements: iPhone 3 or newer, iPod Touch 3rd gen or newer, or iPad running iOS 5.1.1 or later.